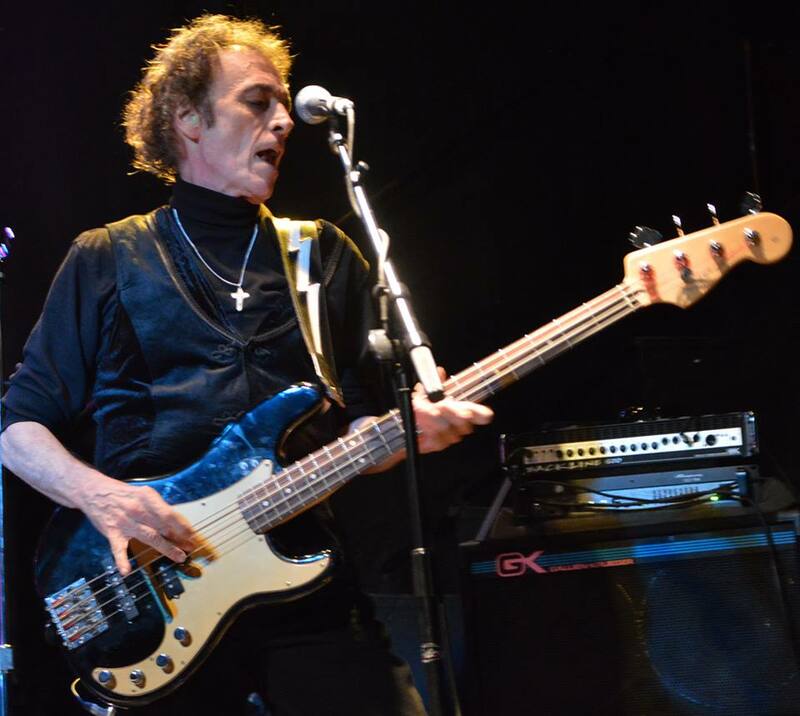 Joe is known as the bassist for the progressive rock band “Crack The Sky” best known for achieving debut album of the year in Rolling Stone Magazine. Joe was a member of Crack The Sky from 1975–1980. Joe has also worked with The B. E. Taylor Group, Wild Cherry, King Friday, and the KINGS’s. Joe is not just a world-class bassist, producer, engineer, and founder of Cuppa Joe Music, which produces various artists, and compose’s custom scores and sound design for film and TV. After relocating to New York, Joe became an engineer and studio musician and performed with artists such as Jim Croce, David Sanborn, The Brecker Brothers, Marie Osmond, Keith Green, Clint Brown, and others. As Joe’s career expanded into television, he began scoring and engineering for national clients Pepsi, Burger King, McDonald’s, Ford, Nickelodeon, Showtime, Bud Light, Corona Extra, ADR Director/Engineer for Walker Texas Ranger. Sr. Engineer/Sound Designer at Post Op-Editorial in Dallas Texas, Joe is one of the country’s most sought-after mixing engineers. Award-winning credits in films include Monster in Law, House of D and Fire Down Below. His “Cuppa Joe Music” Library and Sound Design are chosen for many national spots, including the award-winning Super Bowl Tabasco’s “Mosquito”, Corona’s “Ship in a Bottle”, Nickelodeon, Showtime, Ford, McDonald’s, Corona, Hyundai, and Oprah Winfrey. Joe has served as an Instructor of Post Production Audio and Music Producing/Composing at Mediatech Institute in Dallas Texas. He also served in the capacity of Director of Career Services, placing students in full-time audio positions. He exceeded government and state placement quotas of 70% in each graduating class. He was recently inducted into the board of directors for SPARS (Society of Professional Audio Recording Services) with Leslie Ann Jones, Audio Director at Skywalker Sound, Kevin Mills at Larrabee West Studios, Tim Butler at Chicago Recording (CRC), Jeff Greenberg at The Village Recorder and Steve Davis at Crawford Communications Atlanta. Joe is an active member of AES and the American Federation of Musicians. 2016 Joe starts work on his latest project Joe Mac’s American Garage with a debut album to be released in 2019 with a cast of up and coming musicians and superstars including Grammy Award Artist Madukwu Chinwah, Steve Major (King Friday), Victor Tasson (Unified Past), David Kowalski, John Palumbo (Crack The Sky), Phil Naro (DDrive), Vinni de Paul (Crack The Sky), Robert Schindler (Johnny Nash), Scott Osterloh, Pete Hewllett (Billy Joel), Cory Holland (KING’s), Andy Timmons (Danger Danger), Trai’D & Tom Braxton. According to Joe. American Garage represents the ideology that bands and music are born in a garage.